Getting to know the back stories and starting points of fellow hobbyists has become an interesting side-hobby of mine. Taking that inside look to the next level, I was joined by Peter Gray of RCCar.Zone/UKDroneShow Magazine and Ivan Cheung, the Director of Carisma R/C. With a more conversation-based approach, this episode takes a few interesting turns and tackles some unique possibilities for future tech in the hobby. Oh, and there were a few news items that were revealed in the past week, so I give a brief overview of those as well. ARRMA’s latest monster truck has some real brain-power inside of it. Meet the Nero 6S BLX with Diff Brain Technology. Gain total control by choosing from one of four driving modes based on what terrain or type of wheeling you want to do. The leaked images of a possible update to Axial’s SCX10 model were real. At an event held at Casey Currie’s shop, the SCX10 II was unveiled to a small group of SCX10 owners. With chassis changes, enhanced body details (featuring a 2000 Jeep Cherokee body), this refreshed model should be quite popular among outdoor R/C adventure enthusiasts. What is the next big thing in R/C? Could it be haptic feedback or some other method of communicating what the vehicle is doing through the transmitter. FPV on radio-controlled cars? RCCar.Zone is cooking something up with this in mind. Carisma’s GT10RS series features a fleet of on-road DTM cars takes their “attention to detail” game up to a new level. 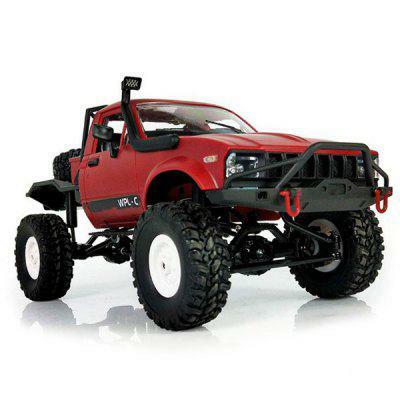 Learn more about Carisma’s R/C lineup at carisma-shop.com. Issue #4 of RCCar.Zone is available for download.